Give Me Liberty or Give Me The Month Of March! Ah, let them all melt with the snow. What about those buttons anyway? a real serious snowman should have. maybe another time for those stats. We can move on to the real story here. How long has it been since you have put your kite into the air? Take some time with your answer. It is of major importance here! Because it can only happen one month out of the year! Yes … sure it takes some work to catch the wind just right. If you are anything like me, then you may have to run the length of a football field … once and maybe even twice. 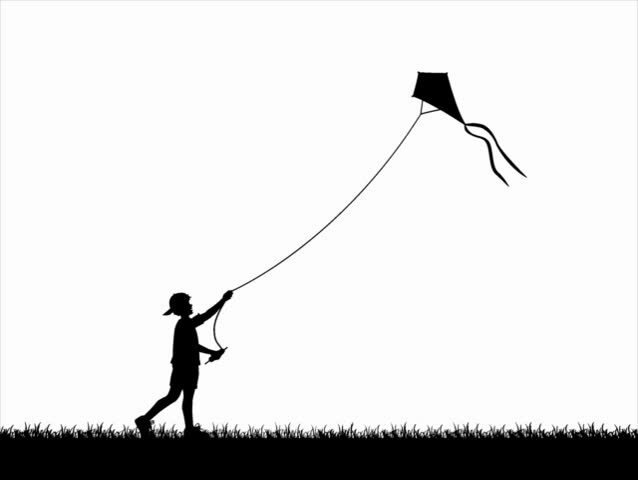 Possibly, I could be the odd one, but I have never had the experience of hitting the field with my kite and just stand there while it magically lifted itself without my help. Yes, it should be that simple … but no matter how I envision the experience, it just never works out that way. I even plan my strategy for the day, months ahead. The tail. The tail has to be just the right length, with the right amount of weight and dynamically designed to capture and hold the moment when the kite begins to lift up into the wind. The tail is the “neutrino” that bounds you and the kite into a force of one. Steadily using the wind to build your climb - you now can sense that success has a good chance of happening. No tail? You may get liftoff but destined for a tree limb or wire most likely. The string. This is very important. Strategically important stuff if you want to climb so high that the clouds are within reach. To get to that one spot in the sky where you can see over the mountain tops and know what lies ahead. A place where the lone eagle soars. Lift off for the eagle just does not happen nor does it just happen in life for us. That string on the kite is not just an element needed to keep your hold on it. You must know when to pull the string tight, when to unravel it just a bit. Use the string to make the gains needed on that free leverage you get while the wind blows upon your back. Life as an entrepreneur is not just a resolution. You will not find one true solution in any resolution. Dreams are not made on resolutions at all. Dreams are made with the tears of adversity. With work that makes you sweat. With that extra stretch or the unraveling of the mind. The hardest part is cutting the strings attached to what you know. To let go of the reality of today no matter how good or bad that may be. I challenge you to make ready for the cutting of the strings of your life. To begin the practice of attaining your dreams in a process called branching. Dare yourself to let that kite fly as high as it can go. Then go ahead and cut the strings. Now just how long has it been since you have put your kite into the sky? Sometimes it's so softly there"